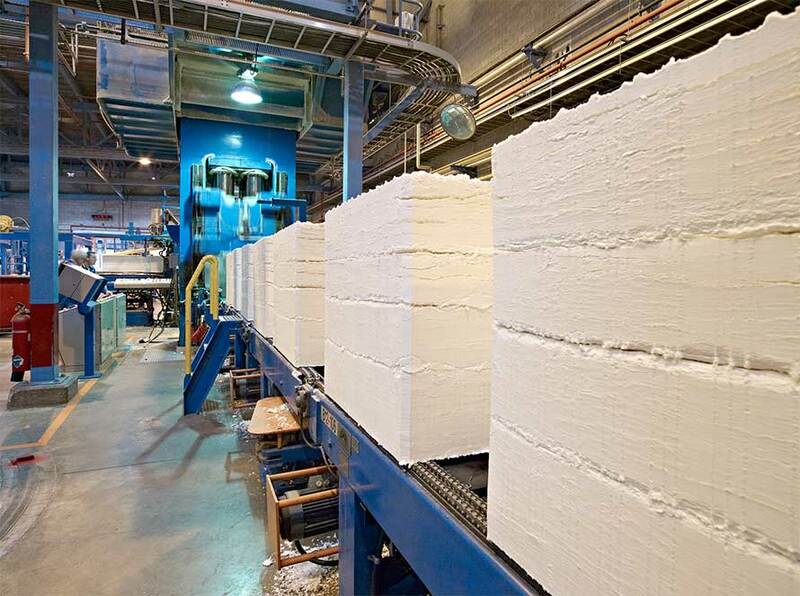 Millar Western is a pioneer in the development of high-yield pulps: we introduced papermakers to hardwood grades made from aspen and were instrumental in expanding the use of softwood and blended grades in a range of new applications. Valued for their bulk, stiffness and opacity, our pulps are highly suitable for use in products such as fine printing and writing papers, paperboard, specialty papers, tissue and toweling. We produce more than 20 grades of pulp, to meet a variety of end-use requirements. In addition to grade flexibility, we offer technical expertise that comes with over 25 years of experience in delivering high-quality pulp products to customers around the world. Our mills and sales teams work closely with production teams, to maximize the performance of our grades in papermakers’ products. Our advanced pulp production facility is located in Whitecourt, Alberta, which has access to a modern and efficient transportation system. Millar Western works to build long-term relationships with its logistics partners, to offer reliable and cost-effective delivery of our pulps to international papermakers. Compared to conventional pulp processes, our manufacturing method produces up to twice as much pulp per tree and consumes less water. Our Whitecourt facility uses the latest in environmental control technology, resulting in an excellent record of regulatory compliance. Our BOD, COD and TSS levels* – all measurements of the quality of the effluent we discharge to receiving waters – are well within government limits. We use hydrogen peroxide as a bleaching agent, making our process totally chlorine free. The pulp mill has made significant strides in refining its processes to reduce our environmental footprint: water consumption has fallen 21% since 2002 and electricity usage has dropped 19% since 2008. Our pulp has been tested as safe for use in the manufacture of papers and boards for food packaging; it contains no anthroquinone. Pulp bales in Whitecourt mill. Customers can be assured that the fibre used to make Millar Western pulp is legally sourced from forests managed with care. Our softwood grades are made with spruce-pine-fir (SPF) wood chips from our adjacent sawmill, while our hardwood grades are made from aspen, an abundant, fast-growing tree species. The timber used to produce Millar Western pulp is harvested exclusively in Alberta, Canada, from natural forests within 175 kilometres of our mill. The vast majority is obtained from government-owned land, which is managed in strict compliance with federal and provincial laws and regulations. In renewing healthy forests, we plant only indigenous species, from seeds collected within harvested areas. *BOD – Biological oxygen demand. COD – chemical oxygen demand, measures organic compounds in water. TSS – total suspended solids, particles that are larger than 2 microns in water. The annual deforestation rate in Canada in 2010 was less than 0.02% and has been declining for over 25 years.